THere are three things I like about Westin Hotel. Beds are very comfortable, shower and towels. Like everything else but this sticks out. Have always like Westin. 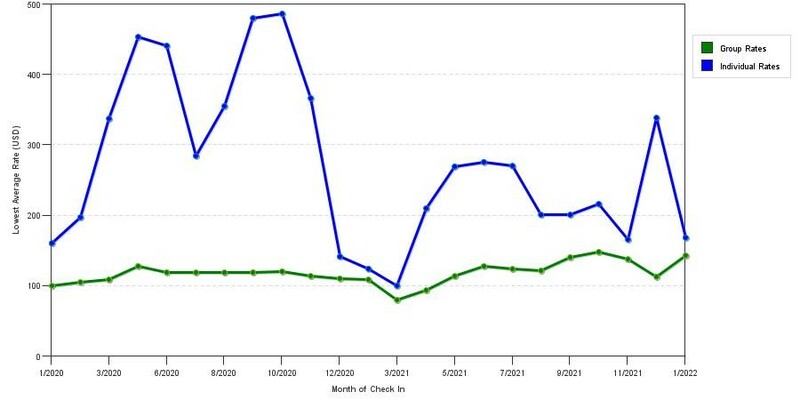 26-Mar-2019 Verified Review, stayed from Fri Mar 22 to Sun Mar 24 2019 at a $88.12 average nightly rate. Transformed from Minneapolis' historic Farmers & Mechanics Bank building, make The Westin Minneapolis your home to renewal in the Twin Cities. The hotel's 214 rooms (19 suites) all feature Westin's famed Heavenly Bed® and Heavenly Bath®, MP3 and iPod compatible player, 32” Flat Screen LCD Television, mini-bar, wireless and wired internet, oversized working desk with leather chair and a chaise lounge for relaxation. Guests will also enjoy complimentary access to the health club featuring WestinWORKOUT® Powered by Reebok, heated indoor stainless steel pool and whirlpool. The hotel is connected via skyway to businesses, shopping and entertainment venues. The hotel has 7,891 square feet of meeting space including a signature Bankers Boardroom with floor to ceiling windows on the 10th floor. Meeting room options include four private boardrooms with built-in audio visual and banquettes and seven flexible meeting rooms allowing a variety of functions from intimate meetings to larger receptions. Our historic space allows meeting planners the opportunity to have a true “no interruptions” function in “The Vault” room. The Westin Minneapolis also offers an on-site meeting coordinator to detail your needs.The Bank, a Modern American Cuisine restaurant is located in the spacious 34-foot vaulted ceiling lobby of The Westin Minneapolis. Diners can view the high-action open kitchen from the huge center-stage oval bar, the long and inviting communal table, the intimate lounge seating or the stately dining room. Flanking the outer walls are four private dining rooms and one lounge style private rooms with their own LCD screen and music system. The kitchen takes great pride in presenting a menu influenced by seasons and locally produced ingredients. In addition, the rotisserie fills the menu with daily specials and a signature rotisserie chicken. Grilled walleye, crab cakes with sweet corn puree, Steaks and chops are also staple features. Creative sandwiches and hearty, inspired salads are popular among the time-sensitive lunch crowd. Hotel Features – Nestled in the midst of Minneapolis’ bustling downtown, the Westin Minneapolis combines Midwestern charm with modern amenities. The hotel is situated in the historic Farmers & Mechanics Bank building that was built in 1941. Today, the hotel offers a 34-foot vaulted lobby, a marble staircase, and wood-carved emblems that date back to World War II. For those wishing to explore downtown, the hotel is the perfect location for your stay, as it’s connected to the city’s seven miles of skywalk. Guest Rooms – Each luxurious guest room boasts the signature Westin Heavenly Bed, a large desk, a 32-inch flat-screen television, CD player, alarm clock radio, and hair dryer. Private bathrooms include a dual showerhead, curved showerhead, plush bathrobes, oversized Brazilian combed-cotton bath towels, and luxurious toiletries. Nearby Attractions – Ideally located in the heart of downtown, The Westin Minneapolis puts you within walking distance of several top attractions. The Minneapolis City Hall, Target Center, Target Field, Mill Ruins Park, and Hubert H. Humphrey Metrodome are all less than a mile away. A short drive will take you to the University of Minnesota – Minneapolis, Minnehaha Park, Xcel Energy Center, and the Mall of America. Amenities – The Westin Minneapolis is filled with a variety of luxurious amenities, including a complimentary fitness facility, the Westin Workout; a stainless steel indoor pool and spa tub; a 24-hour business center with printing and faxing services; and a 24-hour concierge desk that provides tour assistance, computers, and translation services. For your convenience, valet parking, airport transportation, dry cleaning and laundry services, and massage services are also available. Expert Tip – If you want a bite to eat, there’s no need to go farther than the hotel lobby, home to BANK Restaurant and Bar. The venue offers innovative dishes made with fresh, local ingredients. There is a Light Rail Station conveniently located behind the hotel. The Light Rail travels from the Mall of America through Downtown including stops at both MSP Terminals and takes approximately 30 minutes from the airport. Cost ranges from $2.25 to $3.00 based on time of day. Departure is every 7-15 minutes, depending on the time of day. This chart illustrates averages of sleeping room prices for both group/meeting quotes and the best online individual traveler rates we could find at the time the group/meeting offer was entered. The most competitive group deal shown is 66.9% in February 2020 and the highest average individual rate is $359 in the month of February 2020. This chart will show past seasonality and also project future months. If you are flexible with dates, you may want to consider staying at The Westin Minneapolis in a month when rates are lower. 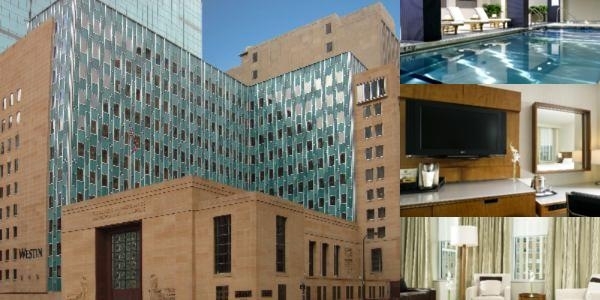 Below are the meeting, banquet, conference and event spaces at The Westin Minneapolis. Feel free to use the The Westin Minneapolis meeting space capacities chart below to help in your event planning. Hotel Planner specializes in Minneapolis event planning for sleeping rooms and meeting space for corporate events, weddings, parties, conventions, negotiated rates and trade shows. 44 x 20 x 8 Ft.
28 x 22 x 8 Ft.
28 x 24 x 8 Ft.
32 x 31 x 8 Ft.
35 x 22 x 8 Ft.
45 x 24 x 10 Ft.
13 x 14 x 8 Ft.
21 x 18 x 12 Ft.
15 x 14 x 8 Ft.
22 x 14 x 8 Ft.